HIT! 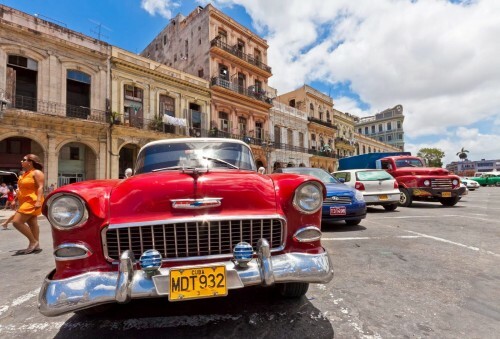 Super cheap flights to Cuba: Varadero for only €252! If you want to visit Cuba before it becomes massively overdeveloped and crowded with American tourists now is your perfect chance! Return flights from London (Gatwick) to Varadero in Cuba are now available for only £219 / €252! These flights are also direct, taking just 10 hours! Travel dates are in December with 2 different options. 5 kg cabin luggage is included in the price, 20 kg check-in luggage is available for £60 fee, we recommend to take 1 luggage for 2 people to keep the price low. Book fast via Thomson Airways. Cuba offers extremely good value hotels and other kinds of accommodation including all inclusive resorts for really low prices. You can also book cheap room through AirBnB and we give you €18 free credit for your stay! « Cheap flights to Colombia: Bogota for only €357!